A surface-to-air missile was accidentally launched from an air base in Chuncheon, Gangwon Province, Monday and exploded in the air, South Korea’s Air Force said. 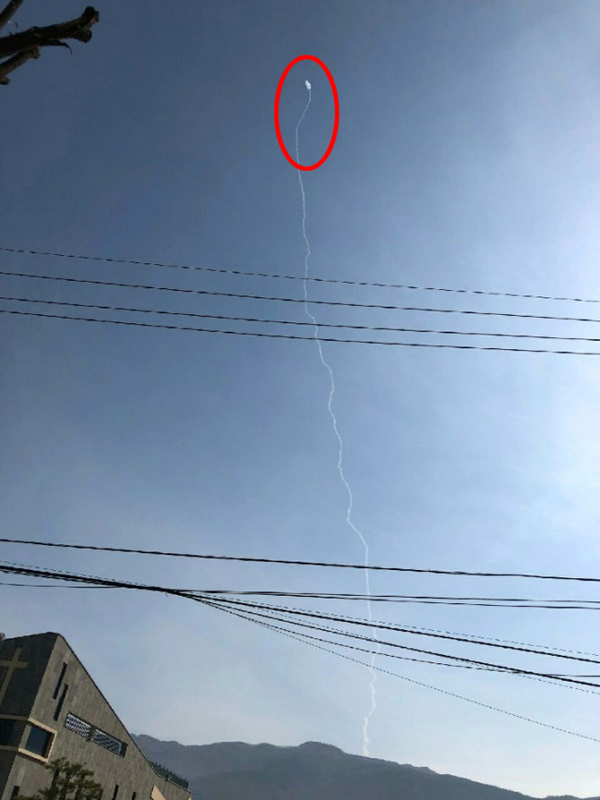 The medium-range Cheongung M-SAM, also known as the Cheolmae-2, was “abnormally” launched at 10:38 a.m. during maintenance work and automatically exploded in the air, the Air Force said in a statement. According to the statement, for safety reasons the missile was designed to self-destruct in abnormal situations. No damage or casualties have been confirmed. The Air Force said it had immediately formed an investigation team to determine the cause of the accident and take follow-up measures. The missile system was developed in 2011 under the supervision of the Agency for Defense Development and is capable of intercepting targets up to an altitude of 15 kilometers at a range of 40 kilometers.